Born on April 15th 1843, American author Henry James was regarded as a key transitional figure between literary realism and modernism, and is considered by many to be among the greatest novelists of the English language. James is one of the major figures of trans-Atlantic literature. His works frequently juxtapose characters from the Old World, embodying a feudal civilization that is “beautiful, often corrupt, and alluring” and from the New World, where people are often “brash, open, and assertive” – embodying the virtues of freedom and a more highly evolved moral character. James explores this clash in cultures in stories of personal relationships in which power is exercised well or poorly. His protagonists were often young American women facing oppression or abuse. 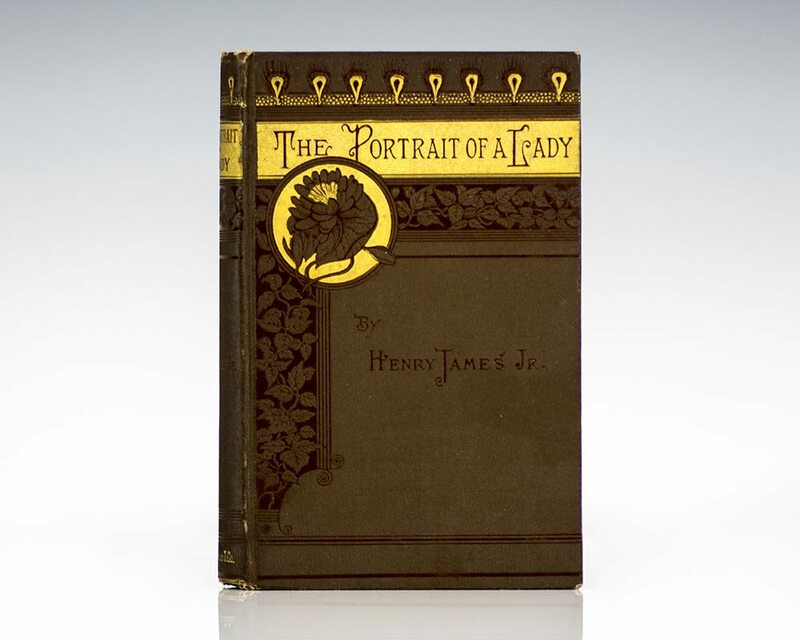 One of Henry James’ most renowned novels, The Portrait of a Lady, is the story of a spirited young American woman, Isabel Archer, who, in “confronting her destiny, finds it overwhelming”. She inherits a large amount of money and subsequently becomes the victim of Machiavellian scheming by two American expatriates. The Portrait of a Lady was well received at the time of publication. James began with the simple idea of a young American woman confronting her destiny, and from this created the character of the protagonist, and a detailed plot. The story presents a trans-Atlantic panorama, an examination of the old affluent world of Europe and Britain colliding with the new harsher world of America in addition to an examination of the psychology of human consciousness and motivation. “The Portrait of a Lady is entirely successful in giving one the sense of having met somebody far too radiantly good for this world” (Rebecca West). It was adapted in 1996 by director Jane Campion, into film starring Nicole Kidman as Isabel, John Malkovich as Osmond, and Barbara Hershey as Madame Merle. 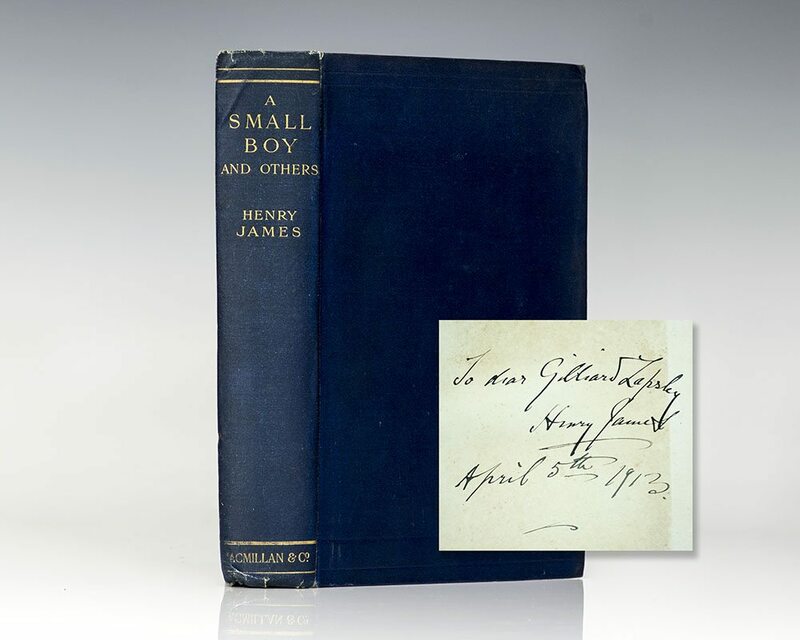 Henry James’ A Small Boy and Others recounts the novelists’ earliest years in Albany, New York and, more importantly, New York City, where he was allowed to wander at will. He evokes the theatrical entertainments he enjoyed, the varied social scenes in which the family mixed, and the piecemeal nature of his education. With the first of several extended trips, the “romance” of Europe begins as the small boy becomes acquainted with a British culture already familiar from his precocious reading of the great Victorian novelists. And it is in France, in the Louvre’s Galerie d’Apollon, that he undergoes an initiation into the aesthetic power of great art and an intimation of all the “fun” it might bring him. Yet the child also registered, within this privileged and extended family group, signs of dysfunction and failure. James’s autobiography has significantly determined the nature and even the terms of the extensive biographical and critical interest he continues to enjoy. 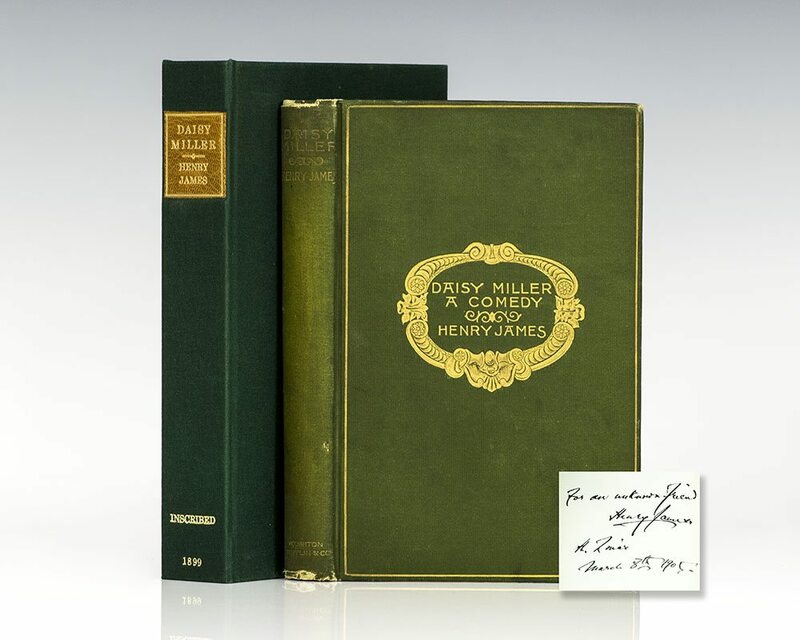 Henry James’ Daisy Miller was an immediate and widespread popular success, despite some criticism that the story was “an outrage on American girlhood”. The story continues to be one of James’ most popular works, along with The Turn of the Screw and The Portrait of a Lady. Critics have generally praised the freshness and vigor of the storytelling. It was made into the 1974 film, directed by Peter Bogdanovich, with Cybill Shepherd as Daisy, Barry Brown as Frederick Winterbourne, Cloris Leachman as Mrs. Ezra Miller, Duilio Del Prete as Mr. Giovanelli, and Eileen Brennan as Mrs. Walker. Frederick Raphael wrote the script; the film follows the structure of the original story without significant changes, and even uses portions of James’ dialogue from the novel. 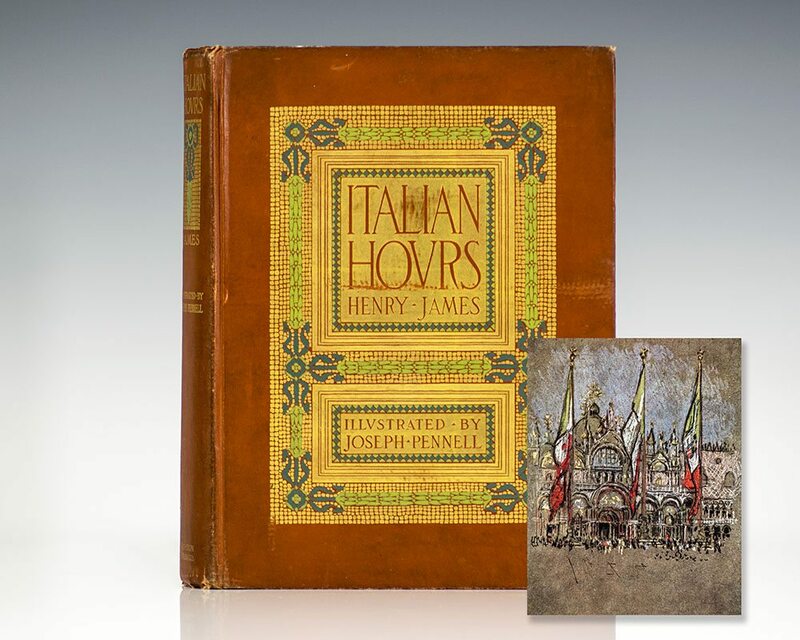 In Italian Hours, written between 1872 and 1909, Henry James explores art and religion, political shifts and cultural revolutions, and the nature of travel itself. 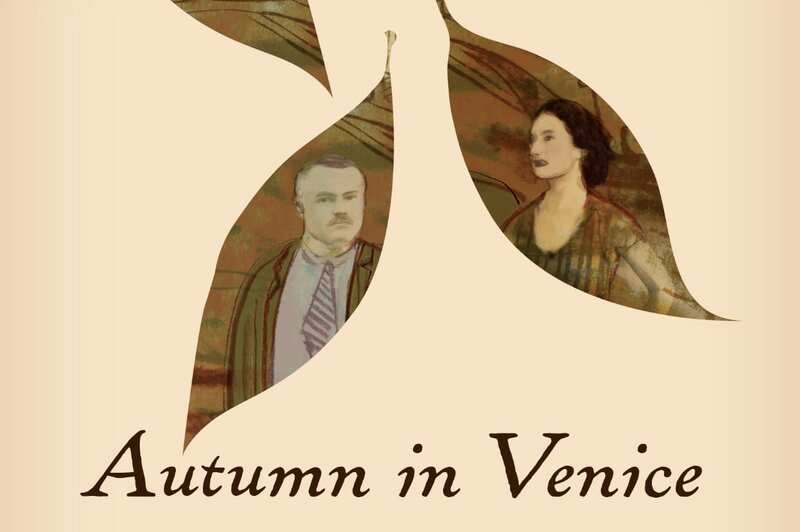 James’s enthusiastic appreciation of the unparalleled aesthetic allure of Venice, the vitality of Rome, and the noisy, sensuous appeal of Naples is everywhere marked by pervasive regret for the disappearance of the past and by ambivalence concerning the transformation of nineteenth-century Europe. One of Henry James’ closest friends, John Singer Sargent, was an American artist considered to be the “leading portrait painter of his generation” for his evocations of Edwardian era luxury. During his career, he created roughly 900 oil paintings and more than 2,000 watercolors, as well as countless sketches and charcoal drawings. His oeuvre documents worldwide travel, from Venice to the Tyrol, Corfu, the Middle East, Montana, Maine, and Florida. 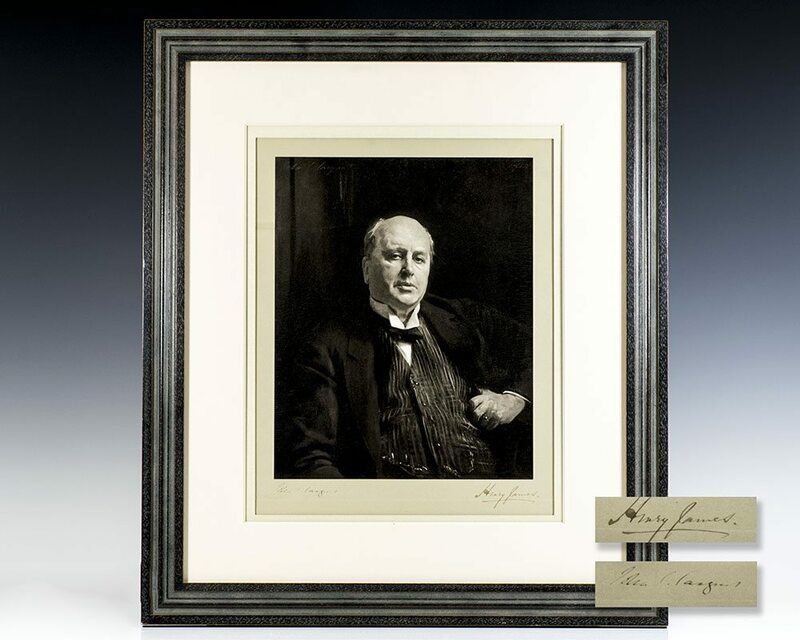 Our collection currently includes a wide variety of first editions as well as a number of important works by Henry James such as The Wings of Dove, Essays in London and Elsewhere, and A Passionate Pilgrim and Other Tales, among many others.